MONTABAUR, Germany - On the day he appeared to fly a commercial airliner into a chilly mountainside in France, Andreas Lubitz was hiding a potentially deadly secret: a chronic medical condition that a doctor had determined was serious enough to keep him out of the sky. Among the pile of evidence seized by investigators in Lubitz's belongings were torn and crumpled doctor's notes excusing the pilot from work. The notes included a period extending to Tuesday, the day of the crash. The discovery came as investigators probe whether the 27-year-old's health - including possible psychological problems and a suspected background of clinical depression - played a role in an air tragedy that claimed 150 lives. Authorities would not reveal the exact nature of Lubitz's illness. But an official from the German prosecutor's office in D�sseldorf, speaking on the condition of anonymity because he was not authorized to reveal details beyond an official statement, said that the doctor's notes were related to a "long-lasting condition." Asked whether they were also related to psychiatric problems, he said, "Read between the lines." The comments came after Germany's Bild newspaper reported that Lubitz had been treated for at least one "serious depressive episode" so bad that he had to suspend flight training for several months in 2009. On Friday, the Rheinische Post also reported that the medical notes discovered in Lubitz's apartment came from at least two doctors - suggesting he may have been searching for a favorable diagnosis and possibly feared losing his medical certification to fly. German aviation authorities said that Lubitz's medical file, tied to his pilot's license, contained a notation that he was required to have "special regular medical examinations." Such citations can relate to a wide range of medical conditions. The prospect that mental-health problems may have figured in the crash of the Germanwings plane additionally shined a spotlight on what critics call flaws in the regular medical checks required of airline pilots, who must pass as many as two exams per year. Such tests, however, are largely geared toward catching physical ailments, such as vision or heart problems, that could impair performance in a cockpit. Mental-health tests in fitness evaluations are often cursory, sometimes amounting to little more than a written questionnaire. "Typically, there are no tests applied to identify psychological diseases," said Andreas Adrian, an aviation doctor who evaluates Lufthansa's and other airlines' pilots in Bremen, Germany. "Maybe you are giving someone a questionnaire to answer, but of course, you can get a good actor and he can easily hide any issues." The debate intensified on Friday over whether mental health should be more deeply probed - an effort strongly opposed by some pilot groups and others who say that could add to the pressures of an already high-stress job. More rigorous mental-health testing could "uncover thousands of people who are going through difficult times in their lives and prevent them flying when they are perfectly capable of carrying out their normal day jobs," said Philip Baum, editor of the magazine Aviation Security International. "You will have to employ far more pilots, and it would be an additional stress and could make things worse." The possibility that Lubitz may have hidden his condition - a task that could have been made easier by strict medical privacy laws in Germany - might help explain how he passed his flight training program. Lufthansa chief executive Carsten Spohr said this week that his company, which owns Germanwings, was never informed of the reason for Lubitz's medical leave in 2009, a period in which the newspaper Bild said Lubitz was suffering from clinical depression. Yet, even if he did hide an illness, the fact that Lubitz - who lived much of the year with his parents in this quiet, picturesque town in southwest Germany - passed muster at Lufthansa's demanding flight school with what Spohr called "flying colors" raised additional questions. The course is meant to weed out potentially troubled men and women, using role play scenarios in cockpits to measure reactions to conflict and stress, as well as highly personal lines of questioning to assess psychological balance. "They have to expect questions about their personal histories," said Michael M�ller, chief executive of ATTC, a company that helps prepare pilot candidates for entering flight schools, including Lufthansa's. "How did you grow up? Did your parents divorce? How did you feel when they did?" Under existing aviation laws, any diagnosis of depression or other serious mental illness should have made it difficult for Lubitz to continue flying in Europe, and certainly not without extensive treatment. Even then, certain limitations are placed on pilots who are taking psychotropic medications - such as popular anti-depressants - including a stipulation that they not be alone in the cockpit. Investigators, meanwhile, sought more answers about the man who German and French investigators believe brought down Flight 9525 on his own. At Lubitz's apartment in a leafy middle-class neighborhood on the outskirts of D�sseldorf, neighbors had affixed Germany's black, gold and red flag at half-staff on a utility pole. Pink camellias bloomed near the entrance to the three-story building, and a small palm tree sat on Lubitz's balcony. On the doorbell, the name Goldbach appeared with Lubitz's. Neighbors said Goldbach was the last name of the woman who lived with Lubitz in the apartment. It was not immediately clear whether they were married. Lubitz and Goldbach were both reserved but friendly, and Lubitz would from time to time walk along the street in his pilot's uniform, neighbors said, on at least one occasion stopping to play with a neighbor's 3-year-old daughter. A police spokesman outside the building said Friday that investigators had completed their searches a day earlier, spending 3 1/2 hours scouring the apartment and taking away two cardboard boxes and a large bag of Lubitz's possessions. The University Hospital D�sseldorf confirmed that Lubitz visited the facility in February and, for the last time, on March 10 for "diagnostic clarifications." The hospital statement gave no further details, citing medical confidentiality. But it denied German media reports that Lubitz had been treated there for depression. Its psychiatric and neurologic clinic is a 10-minute drive from Lubitz's D�sseldorf home, on a rolling campus filled with Italianate buildings. A cockpit voice recorder badly damaged when a German jetliner smashed into an Alpine mountainside and a crucial two-minute span when the pilot lost contact are vital clues into what caused the plane to go down, killing all 150 people on board, officials said Wednesday. The system works by constantly comparing the aircraft's trajectory with that of a terrain profile generated from an onboard digital terrain database (DTED). If the system detects a threat an evasion command is issued and, if no action is immediately taken by the pilot, the system automatically assumes control. As soon as the aircraft is on a safe trajectory control is returned to the pilot. While not considered 'bullet-proof', the system is provided as a last resort in case of spatial disorientation, loss of situational awareness, gravity-induced loss of consciousness, and gear-up landings. Norris observed a variety of scenarios, many flown at extremely low altitudes and high speed, designed to show how the automatic ground collision avoidance system will prevent mishaps while allowing the full range of tactical flying without triggering nuisance fly-ups. When it comes to screening pilots, wide disparities exist among countries and carriers, and the crash this week of Germanwings Flight 9525 is already prompting regulators and industry leaders to reassess the effectiveness of existing protocols. The crash is likely to fuel calls for more-robust background checks and mental health screenings of both new and experienced aviators, even if that means "more intrusive checks of psychological history" than labor groups have historically accepted, said Ken Quinn, a former senior U.S. regulator. 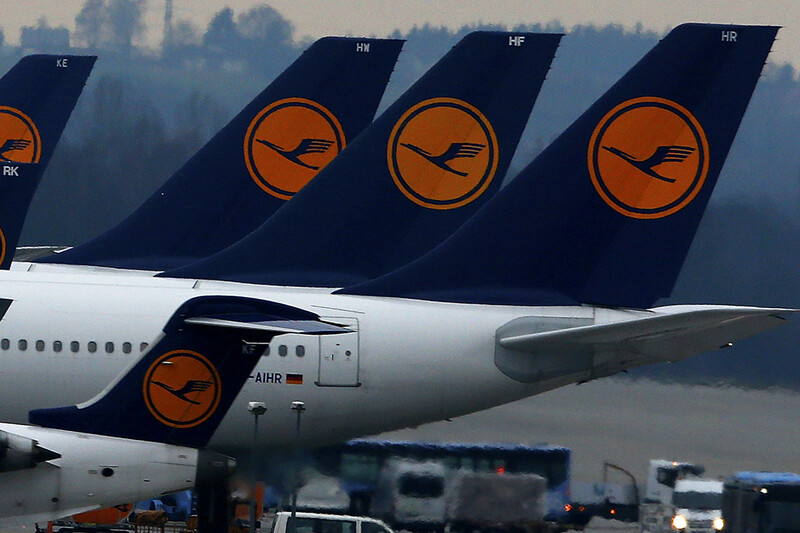 Deutsche Lufthansa AG, the parent company of Germanwings, has been widely viewed by safety experts as one of the industry's leaders in vetting prospective cockpit hires. Still, authorities said the co-pilot of Flight 9525 likely deliberately flew himself and 149 others to their deaths in the French Alps this week. Lufthansa has said it relies on in-depth interviews and extensive aptitude and psychological testing to clear candidates before they can even begin the carrier's two-year training program. Multiple screening steps, company officials have said, were a major reason for low attrition rates during training and relatively few resignations. 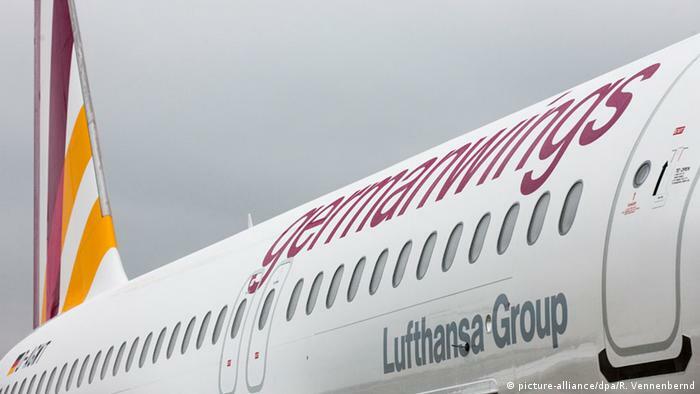 Less than 7% of applicants make it through the initial screening, according to Lufthansa, which uses identical procedures to pick and train Germanwings pilots. EasyJet PLC, another big European carrier, also has been in the forefront of psychological screening, according to industry officials and international safety experts. In the U.S., management and union leaders continue to cooperate on long-standing confidential counseling programs aimed at helping licensed pilots who may be battling problems with alcohol, prescription drugs, depression and other mental health issues, as well as financial and family stresses. Typically run by pilot volunteers or pilot-union officials, such efforts aim to help pilots with informal counseling and, if necessary, professional help, without jeopardizing their jobs. For nearly all commercial pilots world-wide, periodic mental health checks typically are rolled into mandatory recurrent medical exams. Such screenings, however, vary greatly depending where and for whom they fly, according to safety experts. In addition, many pilots tend to be reluctant to discuss psychological issues. In the U.S., unless a pilot previously was diagnosed with a serious physical or psychological ailment, medical examiners are often unwilling to delve into mental health matters because of limited time or expertise. The International Civil Aviation Organization, the air-safety arm of the United Nation, has issued scant guidance in this area, compared with reams of standards regarding the substance of pilot training curricula. None of the standards, though, are binding on national regulatory authorities. ICAO's "Manual of Civil Aviation Medicine," published in 2012, indicates that medical reviews routinely should include questions pertaining to "psychiatric disorders or inappropriate use of psychoactive substances." Noting the lack of detailed guidance to assess psychological matters, the document says that "experienced medical examiners have often informally and spontaneously included them in their evaluation." The manual lays out questions for medical examiners to ask on subjects including depression, anxiety and use of alcohol and drugs. In some cases, according to one veteran safety expert, psychological screening tends to be more "about identifying a good employee rather than a potentially unsafe pilot; this discussion will get really touchy." On Thursday, Lufthansa Chief Executive Carsten Spohr said he would discuss upgrades to the airline's pilot training programs with regulators and labor groups, even as he expressed "full confidence" in selection and training practices dating back six decades. The airline said it has a three-step screening process for would-be pilots, including a two-day aptitude and psychological assessment that examines motivation and reaction to stress. A final medical and psychological evaluation also must be approved by government authorities, before the start of a two-year training course. Despite Lufthansa's "stellar world record" over the years for extensive screening of prospective hires, Flight 9525's tragic end will prompt "a close re-examination" of the entire topic, according to Mr. Quinn, who now helps run the aviation practice of the law firm Pillsbury Winthrop Shaw Pittman LLP. Regardless of regulatory requirements, other airlines around the globe also have internal safeguards intended to identify problematic pilots. Those can include random drug tests; confidential reporting systems for all types of safety violations; and in-flight assessments of flying and decision-making skills by specially trained observers. The German pilot union said "airlines and regulators should work together to develop procedures to prevent a repeat of such an event." The largest pilot union in North America said its members undergo "rigorous screening and evaluation before being hired, including an assessment of the pilot's mental and emotional state." The U.S. Federal Aviation Administration requires all airline pilots to have a detailed medical checkup at least once a year, and twice annually for those over 40. The last high-profile U.S. incident stemming from a pilot's troubled mental state occurred in March 2012, when a JetBlue Airways Corp. flight was diverted after the captain was locked out of the cockpit due to his erratic behavior. An off-duty JetBlue pilot who was on the flight teamed up with the co-pilot to land the jet in Amarillo, Texas, where the captain was taken to a medical facility. The Germanwings crash also is likely to put the spotlight on the specific type of training long relied on by Lufthansa and authorized in at least 35 other countries. Approved by ICAO in 2006, so-called multicrew pilot licenses are seen as alternatives to traditional training and are tailored for students without any prior flight experience. Such training regimes rely on enhanced pilot aptitude testing, greater use of high-fidelity flight simulators, targeted practice countering in-flight upsets and stepped-up instruction about communicating with air-traffic controllers. Other carriers that use the training system include Qatar Airways, Tiger Air, Ethiopian Airlines, several Chinese airlines and Japan's All Nippon Airways. Graduates of these courses typically end up flying passengers with a fraction of the actual flight hours required under traditional licensing standards. Investigators said the Germanwings co-pilot had logged 630 flight hours during his two-year stint with the carrier, compared with a minimum of 1,500 hours U.S. aviators must have before they can sit behind the controls of a scheduled airliner. The parent of United Airlines said Friday it had dropped a policy allowing a single pilot to remain in the cockpit of some of its Boeing Co. jetliners, and now required two crew members be present at all times. The change came in the wake of Tuesday's crash of an Airbus A320 in the French Alps operated by Germanwings after what prosecutors said was an intentional act by the jet's co-pilot, 27-year-old, Andreas Lubitz, killing himself and 149 others onboard. A number of airlines and regulators have already moved to require another crew member be present if one pilot leaves the cockpit. Almost all flights operated by U.S. carriers already have a two-crew policy, but United was authorized to have a single pilot present on around 20 Boeing 777 and 787 Dreamliner jets fitted with cockpit video-surveillance systems in addition to a peephole on the door, according to a spokeswoman for parent United Continental Holdings Inc. Under U.S. aviation regulations, United had been able to satisfy the cockpit-staffing rules put in place after the Sept. 11, 2001, terrorist attacks, because the remaining solo crew member didn't need to leave their seat to see who wanted to enter the flight deck. United said its change was voluntary, and brings cockpit policy in line with operations on the rest of its roughly 700-airplane fleet. Tuesday's crash has spurred airlines around the world to change their practices, requiring a cabin crew member to take the place of an exiting aviator to ensure two people staffed the flight deck at all times. The debate over cockpit safety shifted quickly this week as the impregnable doors, designed to keep intruders out, apparently became a factor enabling Mr. Lubitz to crash the A320 when the jet's pilot briefly left the cockpit. American Airlines Inc. and Delta Air Lines Inc. said flight deck cameras aren't in use on their 777 aircraft, and both have a long-standing two-crew rule for all flights. American said its new 787s do have the cockpit entry-area cameras, though that aircraft doesn't begin service in May, and will continue its existing policy on the advanced jet. Herminio dos Santos Fernandes, the pilot of Mozambique Airlines Flight TM470 bound for Luanda, Angola, intentionally crashed the plane in a national park in Namibia on Nov. 29, 2013, according to investigators. All 33 people on board were killed. When the flight's co-pilot left to use the lavatory, the captain locked him out of the cockpit and manually steered the plane downward. Listening to recovered flight recordings, investigators were able to hear alarms and banging on the cockpit door. EgyptAir Flight 990 plunged into the Atlantic Ocean off Nantucket, Mass., on Oct. 31, 1999, killing all 217 people on board. Investigators concluded that the most likely explanation was that the co-pilot, Gameel al-Batouti, deliberately brought down the plane, although they sidestepped the question of motive and Egyptian officials have disputed that conclusion. The flight data recorder showed that he waited for the captain to leave the cockpit and then disengaged the autopilot. As the plane descended, he could be heard saying in Arabic, "I rely on God," over and over. A Boeing 737 belonging to the Singapore-based airline SilkJet was cruising at 35,000 feet in clear weather when it suddenly dove into a mangrove swamp near Palembang, Indonesia, on Dec. 19, 1997, killing all 104 people on board. Indonesian investigators said, that in the last seconds of the flight, there were indications that the pilot, Tsu Way Ming, "was in the process of, or intending to, leave the cockpit." He had recently been demoted and disciplined by the airline, and had large gambling debts. The government of Indonesia has yet to officially accept the findings. Moroccan authorities said that Younes Khayati, 32, the pilot of a Royal Air Maroc ATR-42 aircraft, intentionally disconnected the plane's automatic navigation systems on Aug. 21, 1994, and crashed the plane into the Atlas Mountains shortly after takeoff, killing all 44 people aboard. He had passed a competency test and medical checkup on July 30. 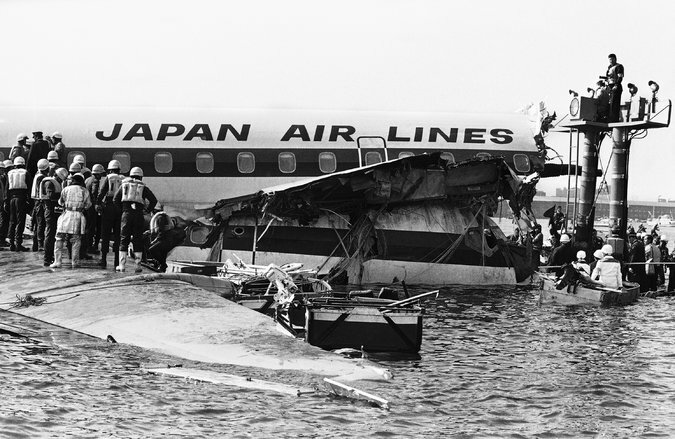 Seiji Katagiri, 35, the pilot of a Japan Air Lines DC-8 sent the plane into Tokyo Bay moments before it was to land on Feb. 9, 1982, killing 24 of the 166 passengers on board. Mr. Katagiri, who survived the crash, was prosecuted, but he was found not guilty by reason of insanity. He had a history of ''psychosomatic disorders'' in the late 1980s, but airline doctors said he was fit for duty. 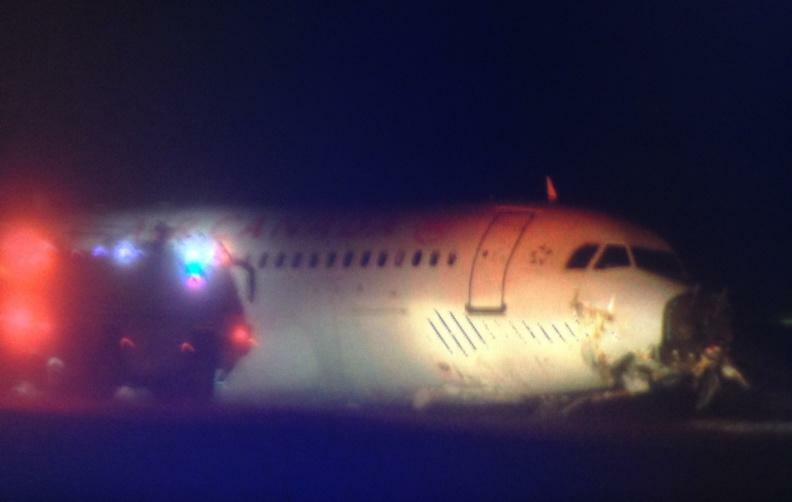 (CNN)An Air Canada jet touched down short of the runway at an airport in Halifax early Sunday, hitting an antenna, severing a power line and losing its landing gear before skidding to a stop. The aircraft, an Airbus A320, touched down about 1,100 feet short of the runway, said Mike Cunningham, a regional manager of air investigations at the Transportation Safety Board of Canada. From there, it hit an antenna array that's part of the airport's landing system and severed a power line. That caused "significant damage" to the plane and cut off power to Halifax Stanfield International Airport in Nova Scotia, he said. The plane skidded for another 1,100 feet on its belly before coming to a stop. Investigators haven't determined yet what caused the accident, Cunningham said. 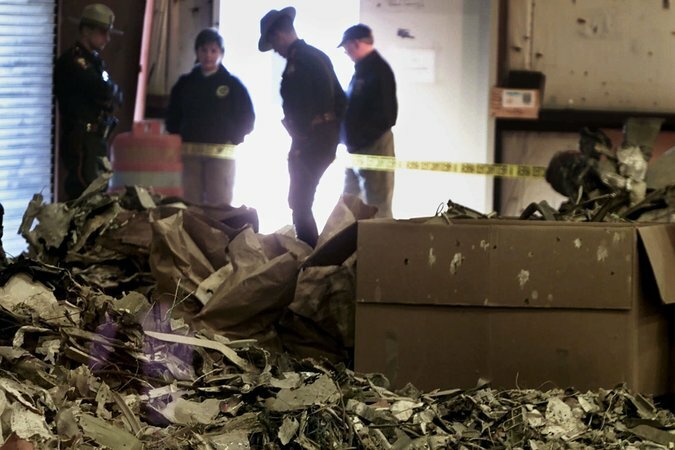 The plane's so-called black boxes are on their way to engineers for analysis, he said, and dozens more investigators are set to arrive at the crash site Monday. "Obviously it's too early to draw any conclusions. ... These things are always very complex. It takes quite a bit of time to get to the underlying factors." Twenty-five people, including the two pilots, were treated for minor injuries at a hospital, said Klaus Goersch, Air Canada executive vice president and COO. By Sunday afternoon, all but one passenger was released. Goersch called the incident "very unsettling" and said that the company is cooperating with authorities in an investigation. Questioned by reporters, Goersch said that the weather was safe enough for a plane to land. He declined to speculate on a cause for the crash, saying investigators will make that determination. Heavy snow was reported at the time of the landing, but Peter Spurway, an airport spokesman, said it was unclear if it had played a role in the accident. The aircraft was then cleared for a Localizer (LOC-Z) approach to runway 05 at Halifax Airport. During final approach the aircraft severed powerlines located 250 m from the beginning of the paved surface of runway 05. The aircraft then impacted a localizer antenna array, located 70 m further on, and impacted upsloping terrain. The Airbus slid onto the runway and came to rest near taxiway B. A Jet Airways passenger jumped out of a plane's emergency exit then walked out of the airport without being stopped. The man, named locally as Akash Jain, allegedly jumped onto the tarmac at Mumbai Airport five minutes after it landed from Chandigarh. It is alleged that he opened an emergency exit above a wing of the plane and jumped to the tarmac. Once on the ground, he spoke to a member of staff working on another flight, but rather than questioning what he was doing, they directed him towards the terminal and it was more than half an hour before authorities were told. From there he simply walked out of the airport, according to Mid-Day. A Jet Airways spokesman said: 'A guest travelling on Jet Airways flight 9W 469 from Chandigarh to Mumbai opened the emergency door and disembarked alighting onto the aircraft's wings after the aircraft had come to a standstill at the parking bay at Mumbai airport. The co-pilot of Germanwings Flight 9525 appears to have deliberately crashed the plane, leaving 150 people dead. What happened in the flight's last ten minutes? WSJ's Jason Bellini has #TheShortAnswer. To tackle this issue, I recruited the help of Dr. Patrick Lin. He's the director of the Ethics + Emerging Sciences Group at California Polytechnic State University and co-author of Robot Ethics: The Ethical and Social Implications of Robotics. As he pointed out to me, AI pilots may eventually take over the cockpit without any human involvement, but that day isn't coming anytime soon. As an idea, robotic pilots are nothing new. But this latest disaster is giving the idea of taking the controls out of human hands an added sense of urgency. When we talk about the fallibility of human pilots, it's usually in regard to things like fatigue and user error. The unpredictability of a pilot's psychological status, by comparison, is rarely discussed - but Tuesday's crash highlights it as deserving of consideration. It now appears that Germanwings co-pilot Andreas Lubitz was hiding an undisclosed medical condition, one that may have been directly or indirectly related to his mental state. "Pilots can be error-prone, because humans are error-prone," Lin told io9. "Some airplane crashes happen, because today's pilots are asked to sit and stare at a computer system for hours at a time, and humans aren't built for that kind of work. Pilots today also don't have enough opportunities to physically or mentally train for emergency situations any more, since so much of the flight is already automated." Hence the calls to remove the weakest link: humans. An artificially intelligent system would never get tired, depressed, or make mistakes. Sounds great in principle - but as Lin says, the handoff of control between human pilot and auto-pilot is especially tricky. 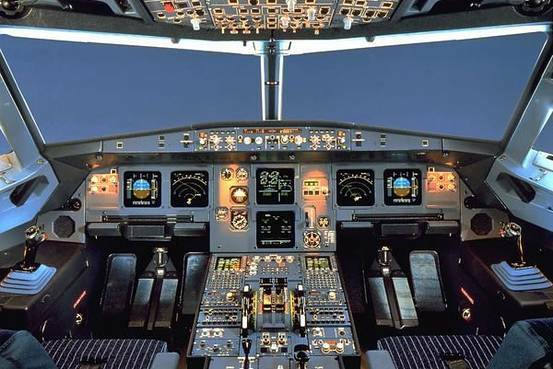 "Even if AI pilots are safer than human pilots, the only way AI pilots would be able to avoid the Germanwings [crash] and other human-caused accidents is not only to be in control of every part of the flight - from taxiing at the airport to takeoff and landing - but also to lock out all humans from the cockpit entirely, so that they can't hit an override button and take control," he says. Lin likens this to Google's decision to remove the steering wheel altogether from its low-speed autonomous car, the so-called "Koala Car." Similarly, if the goal is to prevent human-caused disasters, airlines are going to have to prevent humans from entering into the AI-plane loop at any point. That's a rather unsettling prospect. Moreover, the risk-profiles of robot planes are totally different than slow-moving robot cars. "What makes sense for Google doesn't necessarily make sense for, say, Lufthansa," says Lin. "Technology will fail at some point - whether it's some programming error in the millions of lines of code that operate an autonomous vehicle, or sensor error, or unforeseen event - and it matters whether technology fails on the ground or in the air. Where Google might not need a back-up piloting plan, airlines do. And this means keeping at least one human in the cockpit for emergencies." Airplane crashes are relatively rare, especially when you consider the number of flights per year. The chances of dying in a plane crash are phenomenally thin and too small to justify the extra risk created by eliminating humans from the equation. Nor would moving to robotic pilots save much money, since labor is a relatively small fraction of airlines' operating costs. "Maybe someday AI pilots will be perfected enough to completely take over the cockpit without a back-up plan, but that day is not in our foreseeable future," Lin tells io9. "We can't even build much simpler devices, such as laptop computers and smartphones, that never crash in much more ordinary conditions." To which I would add: robotic planes could also be potentially hacked. Unless a completely failsafe system is developed, there' a chance that someone could disrupt functioning and/or assume control externally, and take down the plane. It's an incredibly frightening prospect. Technology and humans are both prone to failure, noted Lin. "But working together, there's a redundancy in the system that can help compensate for those failures." 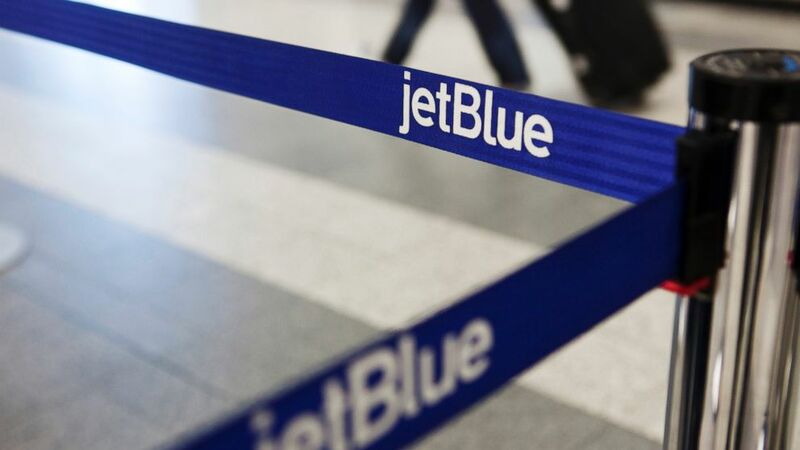 A nationwide system outage was reported by JetBlue this morning, with long lines and delays reported at several airports as passengers were manually checked in. No flight cancellations have been reported. Representatives with the budget airline addressed the situation on social media, individually responding to concerned passengers. "We apologize. The cause of the systemwide outage has been (resolved). We should have you on your way shortly," the company wrote on Twitter. Lufthansa planes parked at Munich's airport. The airline and its insurer could still face legal claims related to the crash of Germanwings Flight 9525 last week. LONDON-The unusual circumstances surrounding the Germanwings crash won't necessarily free the airline and its insurers from claims of negligence, aviation lawyers said. Deutsche Lufthansa AG, Germanwings' parent company, and its insurer will likely still face large legal liability claims in the crash of Flight 9525 despite indications that the co-pilot, who is suspected of deliberately crashing the plane, hid medical problems from his employer. "The airline has unlimited liability unless it can prove it is free from fault," said Steven Marks, a partner at aviation litigation firm Podhurst Orseck. 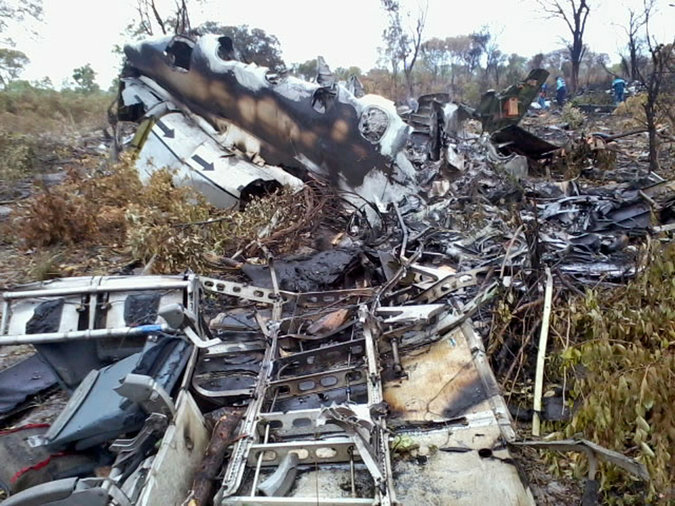 The crash of the Airbus A320 on Tuesday killed all 150 people on board. Flight 9525 co-pilot Andreas Lubitz was suffering from depression and had been excused from work by a neuropsychologist for a period including the day of the crash, according to a person familiar with the investigation. He ignored the advice and reported to work without informing the airline of the doctor's note. Investigators were working to establish whether Mr. Lubitz intended to commit suicide. Even so, the carrier could struggle to demonstrate it wasn't partly at fault. "Apart from inadequate psychological monitoring, the carrier could have enacted the two-person cockpit rule that might have prevented the accident," Mr. Marks said. 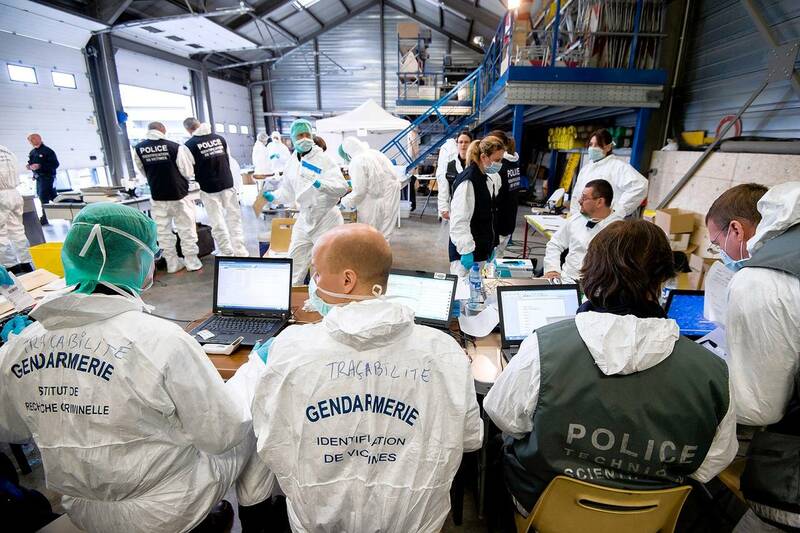 Forensic experts of a French victim-identification unit work on Saturday near the site of the March 24 crash, in a photo provided by the force. 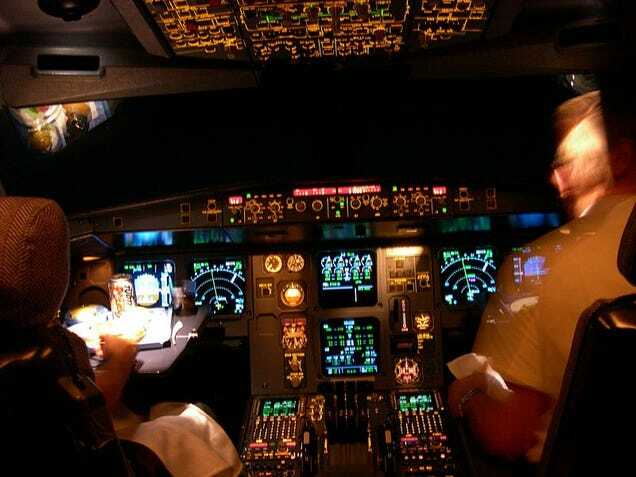 The pilot of Flight 9525 had left the cockpit temporarily and appears to have been locked out by Mr. Lubitz as he set the plane on its descent that ended in its crash in the French Alps. European rules don't require that two crew members be in the cockpit at all times, though many carriers including Lufthansa last week moved to such procedures in the wake of the crash. Lufthansa could be liable for more than the approximately $150,000 the families of victims are automatically entitled to receive under international rules governing commercial flying, said Kevin Durkin, a personal-injury lawyer specializing in aviation for Clifford Law Offices. Families' rights to make further claims aren't waived by accepting those payments. Lufthansa on Friday said it would pay an initial sum of €50,000 (about $54,000) per person to the relatives of Flight 9525 passengers. The payments wouldn't affect potential further claims made by the families, the airline said. Lufthansa, which has struggled to meet financial targets amid labor unrest and restructuring measures, wouldn't pay the legal costs itself. The financial liability rests with its insurer, a unit of Germany's Allianz, which typically is reinsured. The airline later could face higher insurance premiums though those would remain a small part of a carrier's costs compared with fuel and staff, an airline-insurance specialist said. Allianz on Friday said it retains the liability element of the policy regardless of the co-pilot's actions. The company said it wouldn't disclose detailed claims estimates it considers confidential nor the extent to which it is reinsured. Costs to cover the loss of the Germanwings plane shift to Lancashire Holding's Cathedral unit that wrote the insurance to cover such an event in case of war or a deliberate act, according to aviation consultancy Ascend Worldwide. Even last year's high-profile accidents involving two Malaysia Airlines planes-one that was lost and another that was shot down over Ukraine-had relatively little impact on premiums, Mr. Hayes said. (EurActiv) - The European Commission will propose new air safety measures after the Germanwings crash earlier this week, an EU official said on Friday. A plane flying from Barcelona to Dusseldorf with 144 passengers on board crashed in the French Alps on 24 March leaving no survivors. Preliminary investigations suggest the co-pilot Andreas Lubitz crashed the plane on purpose after locking his captain out of the cockpit. The Commission is looking at a rule, among other measures, to ensure two people are present in the cockpit at all times for the duration of the flight, the EU official said. The second person does not have to be a pilot but could be a member of the crew, according to the official. The German Aviation Association (BDL) has now introduced a two-person cockpit rule. The EU executive is waiting for the results of the investigations into the causes of the crash before suggesting any new rules. The new proposal could come as a non-binding recommendation or a legal act in the framework of the airworthiness directives (AD), the Commission said. AD are instructions demanding changes to aircrafts with safety problems. They are issued by the European Aviation Safety Agency (EASA), which is responsible for drafting and monitoring the EU air safety regulations. It is up to member states to ensure EASA rules are effectively applied. Apart from EASA instructions, national airlines can voluntarily adopt stricter rules as long as it doesn't contradict EU law, the Commission explained. EASA recommended Friday that at least two people be present in the cockpit of airliners at all times, with at least one of those being a qualified pilot. "EASA publishes today a temporary recommendation for airlines to ensure that at least two crew, including at least one qualified pilot, are in the flight crew compartment at all times of the flight," the agency said on its website. "Airlines should re-assess the safety and security risks associated with a flight crew leaving the cockpit due to operational or physiological needs." After the 9/11 terrorist attacks, the EU considerably reinforced its air safety requirements. New EU rules obliged all airplanes above a certain number of passengers to have the cockpit door locked and reinforced, said the official. This has reduced hijacking and fatalities but also made it impossible for the captain on the doomed flight to break back into the cockpit. No pilot with a medical history, especially a mental disorder, is currently allowed to fly, according to the EU's executive. EASA rules oblige pilots to undergo medical check-ups, including psychiatric and psychological controls, once a year. After a certain age, such medical controls are repeated every six months. Following consultation, the doctor will make a recommendation if the person's condition can interfere with flying the aircraft. Apart from the check-ups, airline staff can also report to their national authority on any minor flight incidents or refuse to fly if they are not feeling well. Strengthening medical check-ups could also be part of the new Commission proposals, the official said. The European Pilot Association said pilots were "deeply disturbed by the latest turn in the investigation of the tragic Germanwings crash". "As trusted professionals, who invest a lifelong career in making air travel safe, this is a very difficult day for us," said Philip von Sch�ppenthau, secretary general at the European Pilot Association. He argued that pilots "are determined to work with manufacturers, operators and authorities to improve safety". "Even if this turns out to be a single extraordinary event, we are committed to making improvements to ensure flying becomes even safer than it has always been," said von Sch�ppenthau. The A320, the Germanwings model that crashed over the French Alps, is a highly automated airplane. Computers control almost everything - and these computers could be hacked, experts say. One of the black boxes from Germanwings flight 4U9525 has been recovered. It's damaged, but officials say it can still be used to retrieve information. That's a relief, because so far, no one knows what happens to the plane that crashed in the French Alps en route from Barcelona to D�sseldorf. A fact that's undisputed is that the Airbus 320, the downed Germanwings model, is a highly computerized plane. But this by no means renders this aircraft immune to accidents - only months prior to the Germanwings crash one of Airbus' best-selling airplanes went down over the Java Sea: The AirAsia flight that crashed in December 2014 en route from Indonesia to Singapore was an A320-200. Aircraft models from the A320 family rely on aviation software to a much higher degree than most Boeing models. "The A320 is an almost complete fly-by-wire system, which means that the computers actually fly the aeroplane," David Stupples, professor for electronic and radio systems at City University London, told DW. "The computer has absolute control over most things." There are several computer systems on board the plane, such as interfaces for navigation and communication. They are all connected to the central system that controls the aircraft. This means that each A320 is carrying a huge network of computers with highly complex software. The software is provided directly by Airbus and is updated regularly to meet the necessary technical and security standards. What's more, everything in the plane's computer systems is "triplicated," Stupples explained. "It's not a single computer that controls everything, because if that computer failed, you'd have a real problem," the electronic systems expert said. "They have three computer systems doing the same job for most of the time. And they work on a voting system. That means that two computers have to "agree" on an action. If the third one differs, it is ignored." With these precautionary measures, the computerized aircraft seems safe. But, says Stupples, it could still be hacked. According to the professor, there are two opportunities to feed malware into the closed computer system. "The Airbus has an electronics bay beneath the cockpit where all of the navigation computers are located," Stupples said. "So if you could get in there with a USB-stick, you could inject malware into the system." Trying to sneak a virus into a plane's system while its software is updating or physically connecting a USB-stick with malware to an aircraft's computer is no easy feat though. One would have to be a highly knowledgeable hacker to overcome, for example, the "triplification" of the aircraft's computer system. And it would be impossible for an outsider to gain the necessary levels of access, Stupples said. So the hacker would have to be an employee. In the case of the downed Germanwings A320, politicians are saying that an outside attack was probably not the cause for the crash. France's interior minister Bernard Cazeneuve said that all possibilities had to be explored, but that a terrorist attack was not the most likely scenario. Stupples, who worked in the aviation industry for several decades before coming to City University London, also doesn't believe that Germanwings' A320 crashed because of a hacker attack. One of the reasons he gave: the lack of communication from the cockpit. The malware would have had to sabotage the navigation system to make the plane descend while prohibiting the pilots from overriding the board computers. At the same time it would have had to disable the communication systems so the pilots couldn't send out a distress call. "That's virtually impossible," Stupples said. The public will have to wait for the evaluation of the cockpit's voice recorder to learn more about what happened to flight 4U9525. Concerns about a naval 'fighter gap' and F-35 program failures could help extend Boeing's fighter jet production line. As the F-35 Joint Strike Fighter program continues to accrue criticism over cost and schedule overruns and missed milestones, the U.S. Navy is looking to an old standby-the Boeing-built F/A-18 Super Hornet-to plug potential holes in its airborne fleet. The Navy's unfunded "wish list," headed to lawmakers' desks this week, includes 12 Boeing-built F/A-18 fighter jets alongside eight Lockheed Martin F-35Cs. Each purchase would be worth roughly $1 billion for the companies-if Congress decides to fund them. That's great news for Boeing BA 0.46% , whose F/A-18 production line is set to cease production in 2017 if the company receives no new orders. But a decision on whether to spend the company's own cash on long-lead production materials like titanium will have to be made this summer, before Congress finalizes its fiscal 2016 budget. A strong signal from the Navy and Congress now could play a big role in that decision. Whether or not Congress will fund the Navy's wish list remains entirely unclear. Such "wish lists" are often derided as unproductive opportunities for legislators to pick and choose programs and technologies that benefit their districts irrespective of Pentagon priorities. And with sequestration caps returning in 2016 (and the defense budget put forth by the White House already punching right through the Budget Control Act ceiling), funding for "wish list" items could be tight. Then again, it may not be. Republicans in the Senate last week introduced a non-binding resolution to the budget adding an additional $38 billion to the overseas contingency operations (OCO) fund that the Senate Budget Committee had originally seeded with $58 billion. (OCO funds are those designated for ongoing military operations overseas and not subject to sequestration caps) That extra $38 billion in OCO funds dovetails conspicuously with the $561 billion base budget put forth by the Obama administration, which exceeded the defense budget's $523 spending cap by-wait for it-$38 billion dollars. Last night, House Republicans passed a similar budget, with $96 billion set aside in the Pentagon's OCO fund. These budgets are not the final word on the fiscal 2016 budget, but they are the working blueprint. And though this so-called "sequester dodge" has drawn criticism even from some Republicans on Capitol Hill-Sen. John McCain called it a "gimmick"-they are a clear indicator of which way the wind is blowing. The defense hawks are beating the fiscal hawks in this round of negotiations, and the proposed "dodge"-along with a provision slipped into last week's Senate budget that could allow for the altering of some sequestration-suggests the Pentagon could get more of what it wants. Whether any additional cash would go specifically toward the Navy's wish list remains uncertain. But the Navy's vocal support for a batch of new F/A-18s coupled with the fact that the Pentagon may end up with some extra funds provides hope for the Super Hornet. And there's good reason for the Pentagon to keep the F/A-18 production line going. Sustaining the F/A-18 would keep its cousin, the E/A-18 Growler, alive as well. The Growler, an electronic warfare variant of the Super Hornet built around the same airframe, does a very specific job that many think the F-35 isn't necessarily well-suited to, primarily jamming enemy radars and communications to ensure safe passage for other attack aircraft. Boeing needs to produce at least two aircraft per month to keep its St. Louis-based F/A-18 assembly line economically viable, so the additional dozen F/A-18s desired by the Navy would only sustain production for an additional six months. But it would keep it humming into mid-2018, when further U.S. orders or a foreign customer might extend production further still. Boeing is currently chasing a potential deal with Kuwait for a reported 28 aircraft. Other Gulf nations as well as Denmark and Belgium are weighing fighter jet orders at the end of the decade as well. An lifeline for the F/A-18 now could be the difference between Boeing remaining a maker of combat fighter jets or exiting the space entirely as orders for its existing products taper.